I find myself again in a situation where I must try and sum up something which can NOT be summed up for a blog entry! 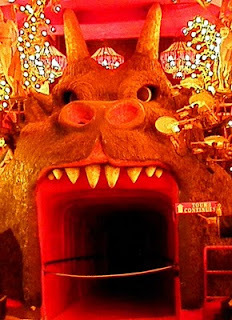 The House on the Rock American Gods weekend was so incredible, there just aren't words to describe all of it! Then of course, it was followed by a practice with the Madison Derby Girls, then a few days at Neil's with Lorraine and beekeeping... much too much for one blog entry I think! Friday morning, we got up at 2am. The plan was get coffee at the shop, get on the road and go to Wisconsin. Google Maps told us we must be on the road by 4am at the latest if we wanted to be at the House by 1pm. Google Maps told vicious, vicious lies. Either that or our rented minivan traveled through time. Because a very sleepy myself, Dill Her0, Kerrie, and Jane Ire found ourselves at House on the Rock around 10am! Luckily we managed to sweet talk the people at the resort into letting us check in early. We unpacked, claimed beds, and ran to the HOTR to register! With that out of the way, we proceeded to get some essentials for our stay. Liquor and cheese. We ran about town, then finally heard from Lorraine that her group of herself, Neil, Kitty, Jounie, and Dan Guy had made it to their rooms. We joined up with them, then headed back to the house for a guided tour. 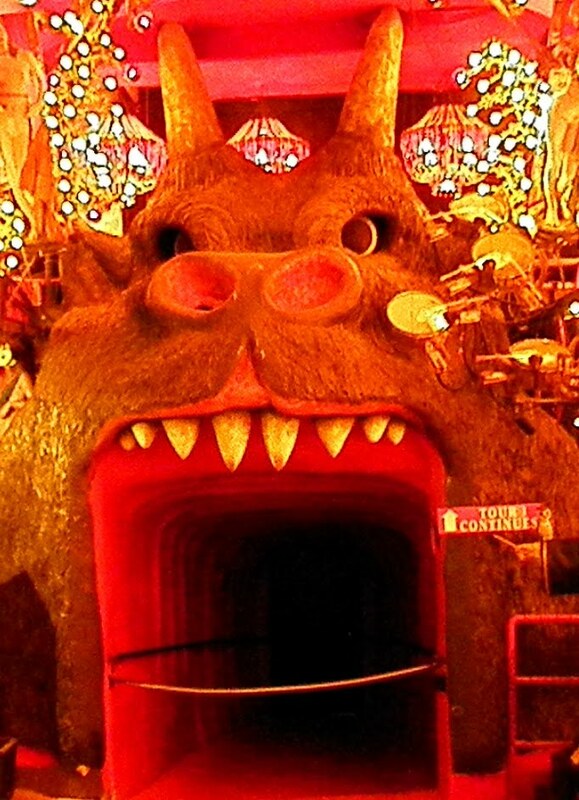 Now keep in mind, I googled the heck out of House on the Rock! I looked at pictures! Video! Read reviews! Didn't matter. The place blew my socks off! I was just in shock and their were choruses from us of "No WAY!" "AWESOME!" "WOW"! It was an amazing place. Neil said one of the best parts was seeing the reaction of people who had never seen it before. After that it was dinner with everyone, then Neil went back to go sign lots and lots of autographs until the wee hours of the morning. The next day was to begin my job as chai monkey/coat and purse girl and the rest of our groups job as GNOME security. Us going into the carousel room. We squealed like little children. It was LOUD and bright and amazing! Oh and a quick edit here! I got a book from Neil for his All Hallows Read project! The Haunting of Hill House by Shirley Jackson! Oh, and I can't tell you how many times GoogleMaps ha screwed me over! I wish I knew many months ago that I would quit my job in time to go with you guys. I'm glad you and Lorraine found each other. I'm loving Reading everyone's blogs about HotR! How absolutely awesome!! I think that when I come to Rollercon next year, I will have to add in a side trip to HotR! I didn't realise it was a real place until I saw you and @neilhimself tweeting about it!